Gelato in Montreal is a tasty idea but gelato in Rome sounds even more delicious. If you agree, here’s your chance to taste it for yourself. 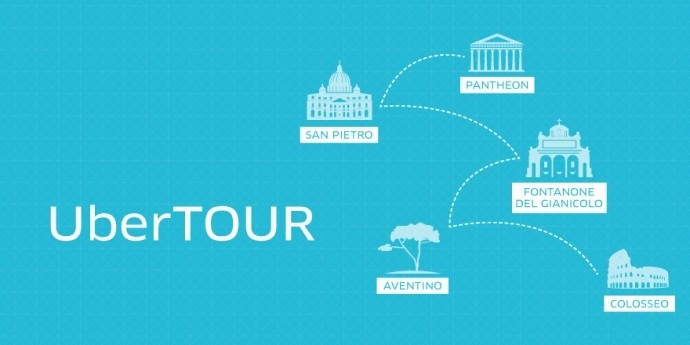 We’re bringing you a chance to go to Italy with Voyages David. One lucky winner will get 2 round trip tickets to Rome, Italy. Once landed, you’ll get 50 Euros of Uber credits to get around town, as well as a free UberTOUR to comfortably cruise the roads of Rome for 2 hours, take in the city’s finest sites and get some excellent snaps, all without breaking a sweat. If you successfully get connected and are able to get ice cream, you’re automatically entered! Established in 1984, we are an Italian family business fully dedicated to the satisfaction of our clients. From flights to cruises & vacation packages, we have everything to fulfill your travel needs! NO PURCHASE NECESSARY. A purchase will not increase your chances of winning. 1 prize is available worth approximately $2000. A mathematical skill-testing question must be correctly answered to win. The odds of winning depend on the number of entries received. The contest begins at noon on July 15, 2016 and ends at 4 p.m. on July 15, 2016. Full rules available here.